FortiAP are thin access points, delivering secure, identity-driven WiFi access for your enterprise network, managed centrally by the integrated WLAN controller of any FortiGate® security appliance. With the integration of the wireless controller functionality into the market leading FortiGate appliance, Fortinet delivers a true Unified Access Layer. This enables you to easily manage wired and wireless security from a Single Pane of Glass management console and protects your network from the latest security threats. FortiAP Remote WLAN access points have been purpose-built for installation in remote locations, with coverage areas of up to 300m2. 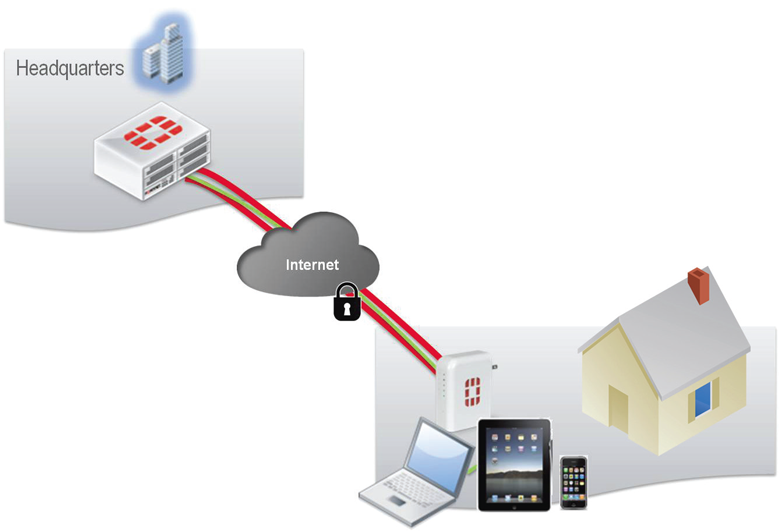 Preprovisioned APs can be shipped to a remote user and connect back to the FortiGate wireless controller via a secure tunnel over any Internet connection. The AP can broadcast the same SSID at the remote location as it does at headquarters, providing a seamless roaming experience for users. The wired ports can also be bridged to an SSID, enabling devices such as VoIP phones to seamlessly connect back to the corporate network. The remote series of FortiAPs are designed to increase the security remote wireless LANs, while simplifying management and reducing helpdesk calls. Leverage existing FortiGate or FortiWiFi platforms as controllers for low TCO. Integration with FortiManager and FortiAnalyzer for centralized management and reporting. Fast Roaming for uninterrupted data access. Automatic Radio Resource Provisioning (ARRP) for optimized throughput. Layer 7 application control prioritizes business traffic. Rogue AP detection and mitigation to satisfy PCI DSS Key Features & Benefits compliance. Advanced Security Protection Wireless LAN security done right, from the leader in network security. Integrated Firewall, IPS, Application Control, and Web Filtering protect the wireless LAN from the latest security threats. Integrated WIDS and Rogue AP Suppression Protects the network from advanced wireless threats and satisfies PCI DSS compliance. Deep Application Control Fortinet goes above Wireless Multimedia Extensions (WME) by offering deep Layer 7 inspection to precisely control applications and bandwidth usage. "Single Pane of Glass" Management Console Unified management console simplifies operations, ensuring consistent and effective policy enforcement and compliance. The FortiAP 11C is a small plug-and-play 1x1 MIMO access point suitable for traveling road warriors or teleworkers, featuring an integrated power plug for easy storage and installation. It has two Ethernet ports (LAN and WAN), allowing you to connect wired devices like VoIP phones back to the corporate network, enabling an instant office for the distributed workforce. The FortiAP 14C is a cost-effective 1x1 MIMO access point, with integrated 5 port 10/100 Ethernet switch in small desktop form factor. The AP is designed for deployment in small remote offices or hotels, allowing a number of additional wired devices to be connected directly to the AP, such as PCs, VoIP phones or printers. The FortiAP 21D is a tiny 2x2 MIMO access point, powered from a standard USB port (or included USB power adapter). This AP is perfect for deployment as cost-effective FortiPresence analytics sensor, or for traveling employees. 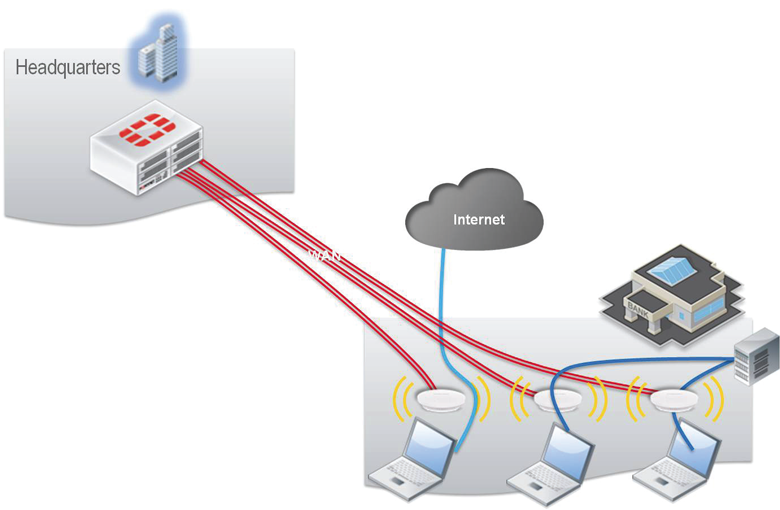 The dual Ethernet ports enable bridging of devices like VoIP phones back to the corporate network. The FortiAP 25D is a small power-strip design dual-band 2x2 MIMO access point. With 5 Ethernet ports, this AP is well suited to desktop deployments in hotels or hospitality environments, enabling the connection of Point-of-Sale and other remote equipment back to the corporate network. The FortiAP 28C is designed for larger remote offices, featuring a higher performance dual-band 2x2 MIMO radio and a 10 port Gigabit Ethernet switch. This AP can be deployed to provide all of the wired and wireless connectivity and security for your remote office. 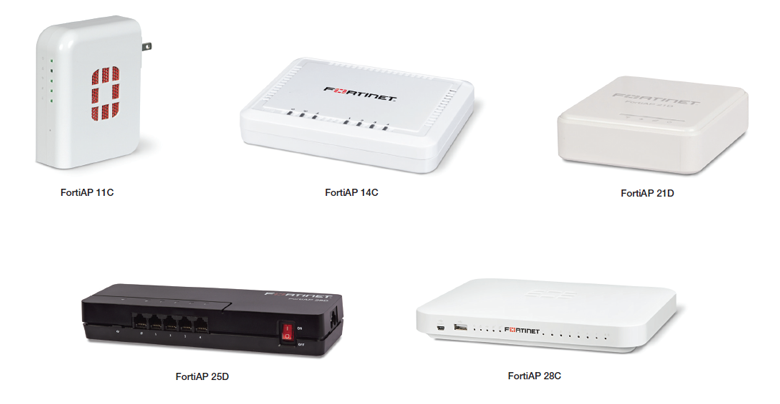 Download the Fortinet FortiAP Remote Series Datasheet (PDF).